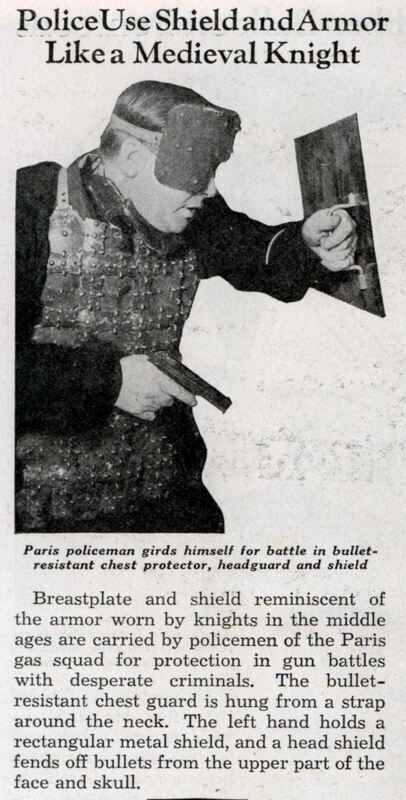 Breastplate and shield reminiscent of the armor worn by knights in the middle ages are carried by policemen of the Paris gas squad for protection in gun battles with desperate criminals. The bullet-resistant chest guard is hung from a strap around the neck. The left hand holds a rectangular metal shield, and a head shield fends off bullets from the upper part of the face and skull.